The groups will be setting up camp in from of Representative Katie Edwards' office in Sunrise from noon to 1 p.m. on Thursday, February 27. Their goal is to get Edwards, who is on the agriculture committee, to cosponsor House Bill One, filed by Representative Michelle Rehwinkel Vasilinda. Food & Water Watch and GMO Free Florida have already reached out to Edwards office, and are awaiting response on her position. "She's waiting for it to come up in committee to decide," says Food & Water Watch local representative Vickie Machado. "We met with her secretary in January. We were able to give her a lot of information concerning GMO food risks involved and implications for farmers and consumers." The demonstration will include signs, street theatre, and a chance for concerned individuals to voice their opinions. Food & Water Watch’s new advocacy ad calling on concerned citizens to ask NY Governor Andrew Cuomo to ban fracking in the state. Call 1-866-584-6799 to tell Governor Cuomo: There’s no safe fracking. Go to www.foodandwaterwatch.org/ for more information. Private water companies want to profit on people’s suffering due to lack of water. This year’s World Water Forum — sponsored by those water companies — is sparsely attended while the global water justice movement has organized an alternative gathering with over 2,000 registered participants. The real solutions will be found at this alternative event in communities around the world. 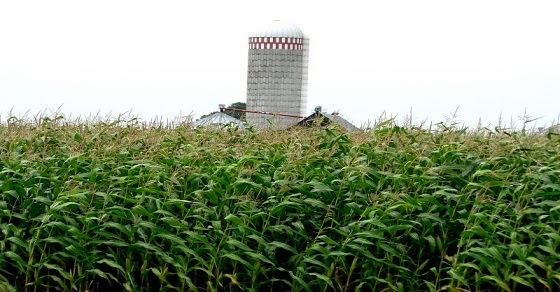 Food & Water Watch Executive Director Wenonah Hauter on how broken farm policy leads to deterioration of our rural farms and the need to ban fracking. Get involved in working for clean, safe, affordable food and water: www.foodandwaterwatch.org. The recent Gulf oil spill was not a freak accident. Strong evidence reveals that another BP oil platform — the Atlantis — is a disaster waiting to happen. Learn more and find out how you can help Food & Watch Watch shut down Atlantis until it is proven safe. Food & Water Watch: Where’s the Truth from BP? Visit spillthetruth.org to find out more about Food & Water’s campaign to protect the Gulf. BP’s statements on the oil spill and the reality on the ground are very different. 1. ⇧ Worldwatch calculations based on Monsanto, “Biotechnology Trait Acreage: Fiscal Years 1996–2008F,” information sheet (St. Louis, MO: 25 June 2008), and on James, op. cit. note 1, p. 3; percent of seed market from ETC Group, Who Owns Nature? Corporate Power and the Final Frontier in the Commodification of Life (Ottawa, Canada: November 2008), p. 11. 2. ⇧ Center for Food Safety, Monsanto vs. U.S. Farmers: November 2007 Update (Washington, DC: 2007). 3. ⇧ Ibid. ; Bernard Simon, “Monsanto Wins Patent Case on Plant Genes,” New York Times, 22 May 2004; Donald L. Barlett and James B. Steele, “Monsanto’s Harvest of Fear,” Vanity Fair, May 2008.